Terry Morris is a highly accomplished sales leader with a passion for inspiring those who he interacts with to be the best that they can be: customers, colleagues, employees and social acquaintances. He is a coach and a leader. He inspires change. In addition to having over 25 years success of building, developing and transforming sales organisations, Terry is also an accredited coach. Terry combines these skills to work with individuals and businesses to build and execute change management programmes. His experiences in these areas range from individual career and life coaching through to re-engineering entire multi-million pound sales organisations. Terry has worked for a number of market leaders in the Technology Sector including IBM, HP and O2/Telefonica. Terry also believes that your business and personal values are tightly intertwined and personally demonstrates this by applying his career skills and knowledge to both the not-for-profit and local government sectors. Terry lives with his wife Liz in Warwick where he is a Town and District Councillor. 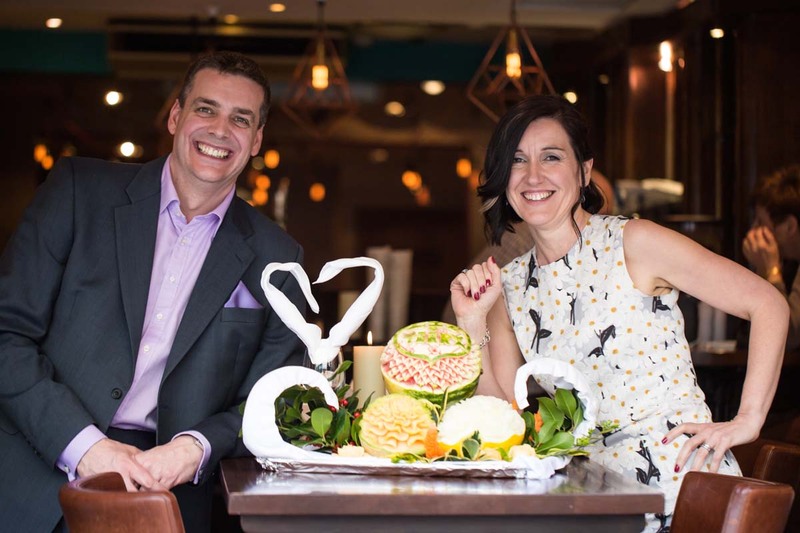 Their passions include travel and cookery and they love nothing more than combining the two!